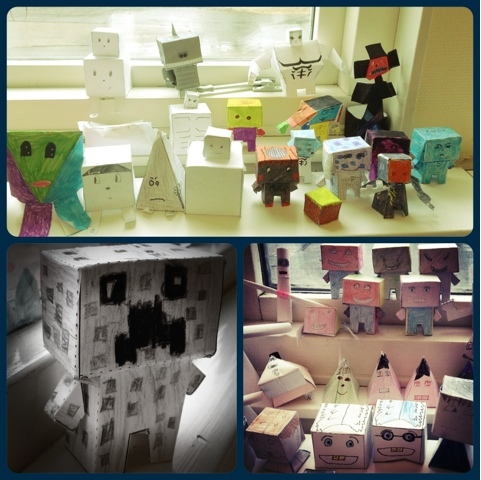 I've runned a papertoy project in my artlessons for the fourgraders (10-11year old kids). I started out with handing out a bunch of blank templates from Papertoy adventures.com. (Rondo and Contender). After the kids painted and built their blank templates, they got an assignment. Make your own original toy! 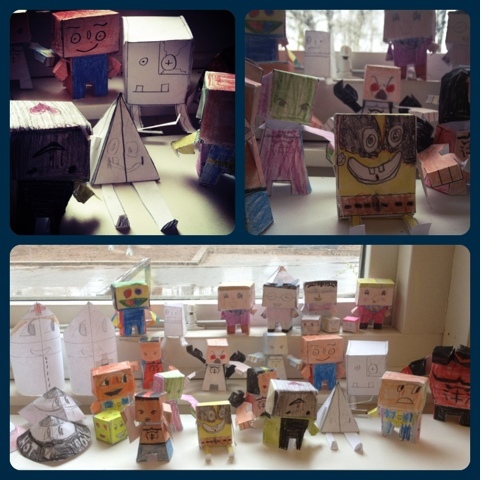 Most of the kids made boxshapes, but there's a few more complex shapes to. Well here's some pictures of the result, loads of funny, colorful and unique papertoys!